– In a bowl combine your apple cider vinegar and almond milk. Then set your sliced onions in this mixture and set to the side. – In a zip loc bag or another bowl combine all your dry ingredients and mix well. Take your onions out of the almond milk mixture and put them into the flour to coat. Shake off the excess flour and then drop into your hot oil and fry for 2-3 minutes or until golden brown. 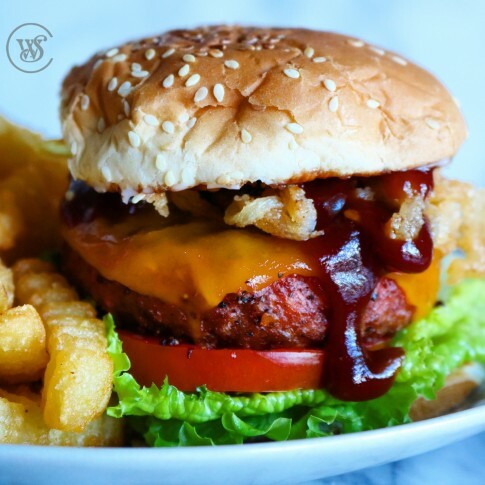 – Top with your burger bun and enjoy!